M. Travis Lane, The Witch of the Inner Wood: Collected Long Poems, edited by Shane Neilson (Fredericton: Goose Lane, 2016). Hardcover, 377 pp., $40.00. 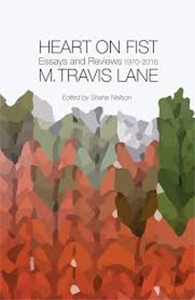 M. Travis Lane, Heart on Fist: Essays and Reviews 1970-2016, edited by Shane Neilson (Windsor: Palimpsest, 2016). Paperbound, 296 pp., $19.95. 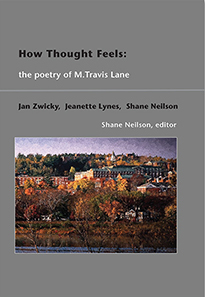 Shane Neilson, editor, How Thought Feels: The Poetry of M. Travis Lane (Victoria: Frog Hollow, 2015). Paperbound, 174 pp., $27.50. M. Travis Lane’s writing impels and bewitches—often for the same reasons: impels because of her fierce acuity, her unremittingly engaged intelligence as a reviewer and her razor-fine sense of lyric texture as a poet; bewitches with the capaciously melodic cadences of her thinking and with the sustained conceptual resonances of her creative and critical practice. Forty years of published work—gathered and addressed in these three recent, late volumes—offers a window onto the consistently remarkable and wrongfully under-regarded corpus of her poetry and poetics. It is a true pleasure to discover and to re-discover the—Lane wouldn’t like this descriptor—sheer greatness of her talent. 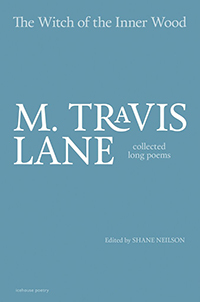 Honestly, reading M. Travis Lane pushes me—with a mixture of heart and fist, of kind involvement and stern jostle—to pursue an intensely felt connection, like hers and through hers, to a deeply-sounded and moving experience of meaning in the world, and of the sensual and imaginative heft of words. 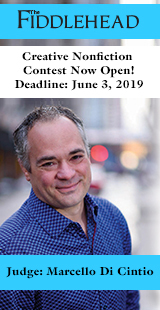 As Lane’s editor, publisher, advocate, curator, apologist, fellow poet, and acolyte, Shane Neilson willingly acknowledges his thorough involvement in these books. His introduction to How Thought Feels—which collects essays on M. Travis Lane’s poetics by him, by Jan Zwicky, and by Jeanette Lynes, along with a compilation (his term) of thematically-arranged slices from Lane’s long poems—begins with a personal account of walking out to visit Lane while he’s on a visit to Fredericton to care for his father. Their relationship, from his side, combines genuine friendship and objective admiration, warmly reciprocated by Lane herself. He describes Lane appearing like a “white-haired sprite” at her door: “’Hello Shane,’ she said, ‘Now come in, come in.’” Nielson positions himself as surrogate reader, sitting on her couch leafing through her publications while she hovers nearby—a detached but palpable presence, at once inviting and formal, close and still proper. Neilson wants to enable her recognition beyond this intimate, critically privileged sequester; “Travis is 80 years old,” he writes in a letter accompanying How Thought Feels: “As a woman who lived in New Brunswick and who published on small presses, she didn’t acquire the attention she deserved in her career.” (All three of these books come in small runs from small presses.) Neilson understands his role as clearing space for Lane’s work to be heard and felt. But his sense of needful discovery persists; he assumes that very few will know who Lane is, or have a sense of the monumentality of her accomplishment. Jan Zwicky describes her surprise at her first encounter with Lane’s work—during a 1989 reading at the University of New Brunswick—when, arriving in what Lane calls a “shabby eastern province,” Zwicky unexpectedly hears a “sharply intelligent, sophisticated” and musically rigorous voice that she characterizes as “an attempt at honest seeing,” in caringly crafted poetry. 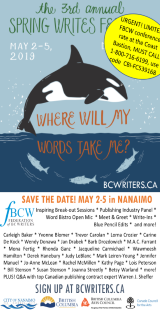 Jeanette Lynes wants to affirm Lane’s place, when she seems “to have fallen through the cracks” of critical reception, in an “ecological web” of Canadian poetry, a vital “connectedness” to other writers and readers that remains unattended and underappreciated. Lane’s copious, keenly attentive reviews might represent her own enmeshment in an expansive literary network, although she speaks from one of its more attenuated edges. 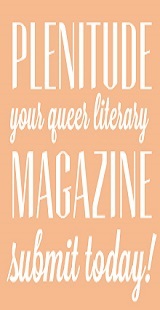 She positions herself as an informed amateur, an exacting poetic interlocutor who will not suffer incompetence gladly but who also celebrates the weightiness and global reach of real accomplishment: “I review because I love to discover good poetry, to share my pleasures with others, and because thinking about writing that I admire exercises my mind. I also review because I’ve never had a full-time job. Poetry and keeping house have been my life” (“On Reviewing”). The sculptural surety elevating taste to objective standard—she knows clearly what “good” writing is—modulates to a colloquial humility (“I’ve never had…”) that feels more or less characteristic of the regional, of the marginal and the “shabby.” Still, Lane engages with Tomas Tranströmer and Anne Simpson on equal footing: Eurocentric metaphysical grandeur, for her, has no problem coexisting with the world-class compositional acuity of a poet from Antigonish. Redressing such imbalances of reception informs Lane’s project, as reviewer, as much as it does Neilson’s editorial work around Lane herself. Her readings, for example, of what she calls the “unimpoverished” “maximalism” of George Elliott Clarke leverage the wealth and reach of his “Nofaskoshan” style onto a much wider cultural stage. Lane is, in my view and pace Zwicky, no regionalist, at least not in the wheelhouse of James Reaney’s arch formalism or in the mould of E. J. Pratt’s hyperbolic cultural nationalism. Rather, Lane usually takes for granted the attendant worldliness of the writing she encounters: poetry, for her, is poetry, subject to the same acumen and standards no matter where it says it comes from. It’s not that she ignores the Canadian genetics of much of what she reviews. She repeatedly makes a case for the poetry of unb’s A. G. Bailey, which I have to admit doesn’t convince me; I just don’t hear it. But hearing is exactly the basis of Lane’s globalizing critique: she takes as objective that a genuine musicality in language can bear witness to essential human truth—though her ear, while largely accurate and openly acquisitive, can also be fairly unforgiving. A recalcitrant formalist, she nonetheless decries saccharine aestheticism (the danger of “too much sugar” that renders poetry merely—and this is a recurrent complaint in her criticism—“amusing”). She’s certainly a latter-day Yeatsian modernist, and like Yeats never lets go of a certain difficult version of homecoming, of a capacious but rigorously cultivated place for poetry of tangible value, of “good” work. Her own lines never settle, and words are honed, refigured, prised apart, and revised, articulating a “sleek unsaying” even as they fall into contingent domestic order. “For home,” she writes, “is a place we’ve never been. / We would not be home in it were we there.” Unlike Yeats, Lane is particularly concerned with making space for women’s writing, for poetry by women; her self-description as a housewife (or faculty wife) seems wryly ingenuous, and a large part of her own mythopoeic practice centres on opening up excluded voices (of girls, wives, witches) to audibility. “Homecoming,” the first long poem collected in The Witch of the Inner Wood gathers a set of seasonal “musings” and transplants an Odyssean nostos to “rural New Brunswick” where “there are moose among the olive trees” and where a new Penelope recomposes her Ithaca, repurposing music from quiescent grief. Lane’s poetic homemakers shape, fracture, disrupt and unsettle verbal form to produce alternative lyricisms. Lane listens astutely to the ludic wrangle of Phyllis Webb, to the fraught melodic conviction of Margaret Avison, to the lyric provocations of Paulette Jiles, to distill, to sound and to recuperate, variously, a noisy antiphony of women’s voices. (Oddly absent—unless I have overlooked her—is P. K. Page, who strikes me as an ally in approach and practice for Lane.) Rather than rehearse Lane’s readings of others, though, I want to take a little time to listen to her particular musicality, to substantiate my case for the significance, the cultural weight, of her work. Lane tries to populate her reviews with liberal quotations, “by which you may judge the reviewer,” by seeing and hearing for yourself. Fair enough. 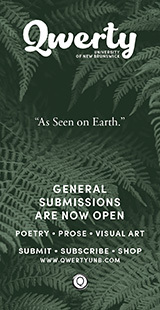 Dickinson’s metaphysical vocabulary and three- and four-beat lines short-circuit with the sensuous overload in Lane’s rendering of the poem’s material present; the question of where the poem’s imperative nudges her and nudges us remains open, but thick with vitality. I read it in the nodes and scars. I clear its lower branches with my axe. Again, we have successive moments reflecting in a tense present tense on the work of making; design unfolds and reshapes itself, balancing intervention with acceptance, craft with humility. Notice the shifting counterpoint of tetrameter, pentameter and hexameter line-envelopes, and the involute consonance and slant-rhyme at play. 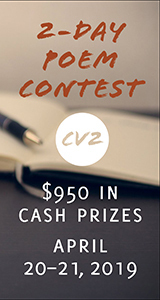 Writing involves both attentive reading of and accommodation to the descriptive, but also a rigorous, judicious pruning that registers the conversant design of the poet, her capacity to understand the collision of thing and marker, of object rendered meaningful. Her long poems offer an extended calculus of the variegated tensions between the given and the artificial, between mimesis and poiesis, between joyful attentiveness to what is and reweaving the skeins of the possible: “These things are light. I weld them into light.” The extensive interlace that Lane’s long-form texts offer up to us testify, at both the large and small scale, to her sustained desire to trace the motile interconnections of the spoken and the felt, of sense and sense. “I want the real…” one of Lane’s personae tells us, and her. Just so.